Los Feliz is friendly for those on foot, has some bike infrastructure and offers many nearby public transportation options, according to Walk Score's rating system. So what does the low-end pricing on a rental in Los Feliz look like these days--and what might you get for your money? We took a look at local listings for studios and one-bedroom apartments in Los Feliz via rental site Zumper to find out what price-conscious apartment seekers can expect to find in this Los Angeles neighborhood. Listed at $1,350/month, this studio, located at 1805 N. Kingsley Drive, is 20.6 percent less than the $1,700/month median rent for a studio in Los Feliz. Amenities offered in the building include on-site laundry, shared outdoor space and on-site management. In the unit, expect hardwood flooring, high ceilings, ceiling fans, closet space and air conditioning. Cats and dogs are not allowed. There isn't a leasing fee associated with this rental. Here's a studio at 4635 Finley Ave., which is going for $1,695/month. Building amenities include on-site management, on-site laundry and shared outdoor space. The unit features hardwood and tile flooring, high ceilings, stainless steel appliances, plenty of windows and granite countertops. Future tenants needn't worry about a leasing fee. Then there's this rental with one bedroom and one bathroom at 5333 Russell Ave., also listed at $1,695/month. The building features assigned parking, a swimming pool and on-site management. Apartment amenities include both air conditioning and central heating, hardwood flooring, a dishwasher, white appliances and in-unit laundry. Neither cats nor dogs are allowed. Future tenants needn't worry about a leasing fee. Listed at $1,795/month, this 620-square-foot one-bedroom, one-bathroom apartment is located at 4623 Prospect Ave., #1. The building offers assigned parking, on-site laundry and shared outdoor space. In the unit, you're promised air conditioning, hardwood and tile flooring, a balcony, a dishwasher and white appliances. Cats are permitted. Future tenants needn't worry about a leasing fee. 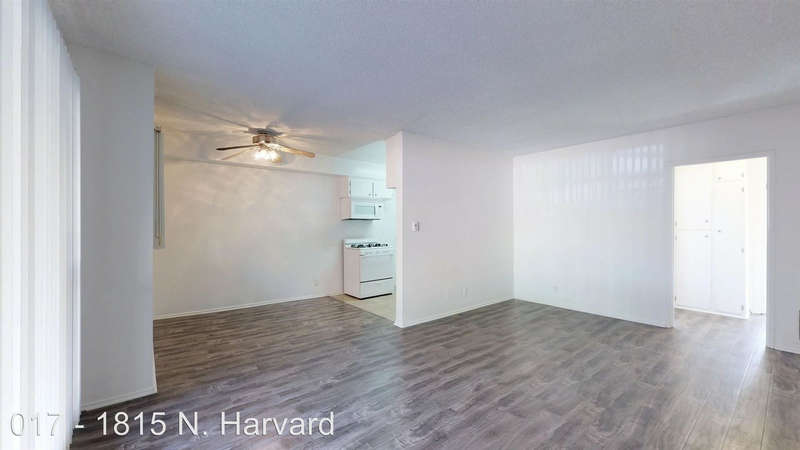 This one-bedroom, one-bathroom, situated at 1815 N. Harvard Blvd., is listed for $1,875/month for its 615 square feet of space.